Hold up! Before you read this awesome guide, I advise you read my FAQs on travel in Cuba. 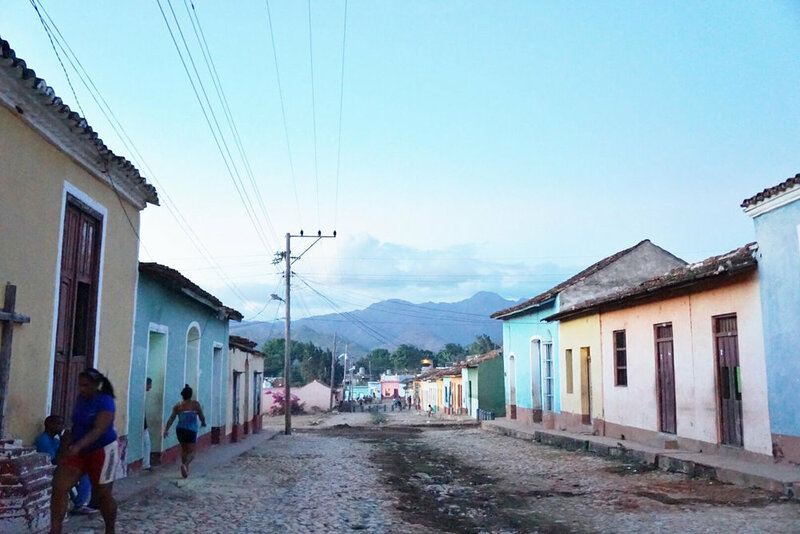 Walk the colonial streets of Trinidad: A lot of the "things to do" in Cuba involve doing nothing at all - if that makes any sense. Instead, spend a day strolling the streets, getting lost amidst all the heritage and culture Trinidad has to offer. Pop into little known shops for a browse; quench your thirst with a mojito. Just take Trinidad in for all it's colonial glory. Museo Historico Municipal [museum]: Most museums in Cuba are below average, lacking in quality, borderline decrepit, and mostly absent of English translations. This museum is no different, but it does have arguably ones of the best 360-degree views over Trinidad. Get there before 11am to avoid the rush of tourists. Cost: entry 2 CUC. Day trip to Topes de Collantes: Not many people bother travelling the 1 hour outside of Trinidad to hike in Topes, but it was honestly one of the best activities I did on my trip. The hike in is about 1 hour, and at the end you'll find a large waterfall and swimming hole. If you climb up the waterfall a bit, you'll likely get to swim in a pool all to yourself -- seriously one of the most amazing spots I have ever swam. Cost: The best way to get there is via taxi collectivo; I split mine with 3 friends, and the lowest price we could negotiate was 50 CUC for 4 people. Many collectivo drivers were trying to get us to pay 80+ CUC, which is absolutely ridiculous. Always remember to ask around and barter hard before you settle on a price! Horseback ride in El Cubano: Cuba is a fantastic place to explore on horseback. It gives you access to the backcounty allowing you a glimpse into the everyday life of the Cuban people -- any you get to feel like a total badass cowboy in doing so. 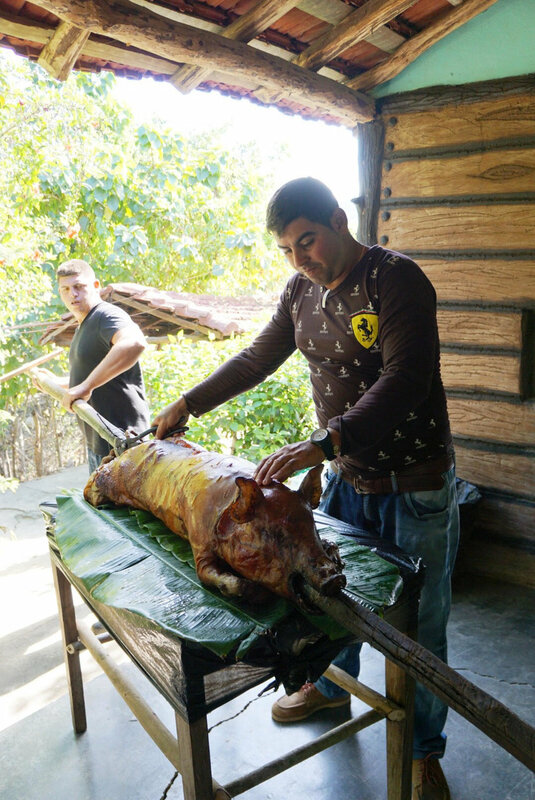 The ride takes you through coffee plantations, with stops at a waterfall cave to swim, and a farm restaurant for lunch. Cost: tours cost 10 CUC, not including park entrance fees (6 CUC) or lunch. You can find people on the street selling tours, or if you're staying at the casa I suggest below, there is a stable two doors down (highly recommended). Casa de la Musica [bar]: The epicenter of Trinidad's nightlight starts at this place. Every night they have live music and Cuban performances, attended by a mix of local and tourist. A great place to start the night with some salsa before heading on to other places. Disco Ayala [nightclub]: Cuba is full of caves, so of course they made one into a nightclub! Once inside you'll be dancing in a huge cave system, pumping out popular Cuban artists and international top 40 beats. Taberna La Botija [restaurant, bar]: One of the most popular joints in Trinidad, this place is totally deserving of the hype. Every time I walked past in the evening there was a 1+ hour line to get in, so my friend and I went in the mid-afternoon to avoid any wait time. We ate some fried fish and probably the best pizza I ate while in Cuba. Try their house special cocktail made with fresh sugarcane juice, it's absolutely heavenly. This place has live music in the evening, which is what draws the crowds. Paraito [cuban fast casual]: Quick, very cheap eats. The fried rice is a great deal; while the pasta is your typical Cuban mush (Cuba hasn't really mastered the whole "al dente" thing yet). Other than the above, none of the other restaurants I went to in Trinidad were anything special. I recommend eating meals prepared by your casa hosts. Hostal La Sirena: A super cute casa particular run by a women named Idania, who is an absolute riot. The room itself is elaborately decorated with bright purples and pinks, in true Cuban fashion. But the best part about this casa? The private balcony, where meals are served. Cost: 25 CUC per night in high season, 15 CUC in low season. You can book by emailing Idania at idaniaenriquez@nauta.cu (you may have to make it .com.cu), or showing up at her address: Calle Independencia #83 e/ Ciro Redondo y Isidoro Almenteros. She also rents her room on Airbnb, and if you use my link you will get one night free! You can either get a bus or collectivo taxi to Trinidad. Bus: Viazul runs services from Havana (25 CUC, one-way, 5-6 hrs) and Vinales (37 CUC, one-way, 10 hrs). You can get the Viazul from the bus station; make sure you book online before your trip, or go to the bus station the day before to secure your ticket, as it often sells out in high-season. Cubanacan also offers services picking up at major hotels in Havana and at casa particulares in Vinales, and dropping off in Trinidad; the prices are the same or a few CUC more. Taxi collectivo: Organize for a taxi collectivo the day before you plan to depart. This can be done with your casa host, or at the local bus station by asking around. From Havana to Trinidad expect to pay 20-30 CUC per person; from Vinales to Trinidad it can be as low as 30 CUC. Check out my travel guides for Havana and Vinales, too!